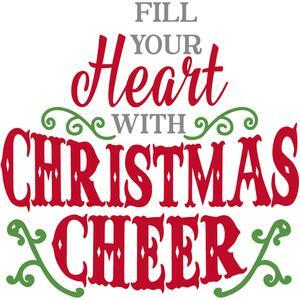 Please join us for our annual homeschool Christmas party on Tuesday, December 19th from noon-3PM at Camp Liberty located at 15719 AL Highway 157, Battleground, AL. This year our party has relocated to a spot just outside Cullman in hopes that more of our north Alabama families can join us. Our annual Christmas party is a way for north Alabama homeschool families to get together to celebrate the holiday together, while helping those in our community that are less fortunate. The charities that we are supporting this year are HOPE Place, a shelter for abused women and children, Operation Stand Down, help for homeless veterans, and the food pantry, emergency food for families. Refreshments will be provided, along with crafts and games for the kids. We will also have a silent auction, door prizes, and vendors for last minute Christmas shopping. The cost is $5/child, $2/adult, free for children 2 and under. We hope you will join us is celebrating the season, and teaching our children about giving back. Friends and family are welcome to attend too! All of our charities are also in need of personal hygiene goods of any kind. Many of these items can be found at the dollar store. Please help as much as you can. Google maps tends to try to send people to exit 322, but it is much easier to get to Camp Liberty by taking exit 310. Camp Liberty is located just 10 minutes off of exit 310 without any turns. Look for the HUGE American flag. This event is sponsored by Everest Academy, but is open to all. Please review the Everest Academy Participation Policy before attending any of our events.